Many people desire to start their own business. However, they are unaware of the most important ingredient in operating an efficient business. This key ingredient is vital to the very existence and viability of the business – PLANNING. As a matter of fact, the Small Business Association (SBA) estimates that 80% of start-up businesses fail in the first three (3) years of operation due to the lack of planning. Therefore, it is crucial to convert your ideas into a Business Plan (action plan). 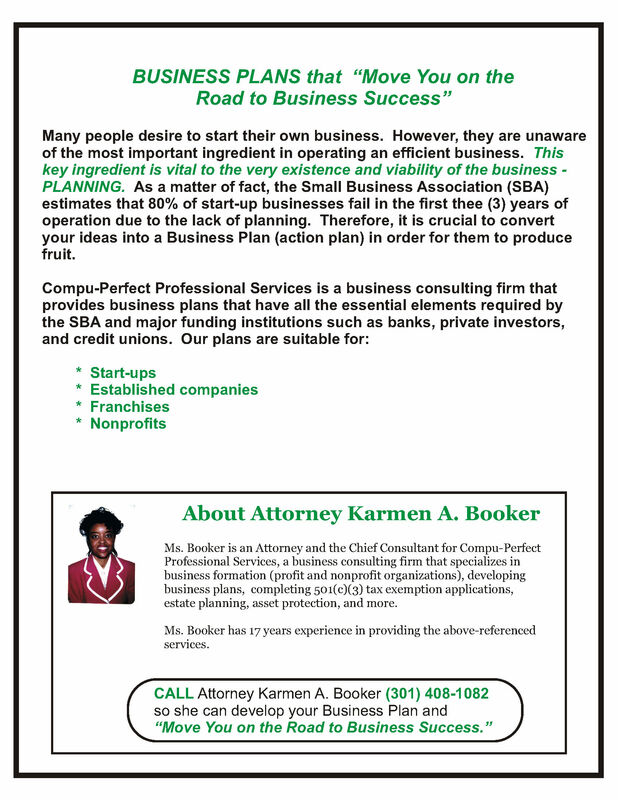 Our business plans are designed and written to deliver maximum benefit when presented to the SBA, banks, government lenders, and venture capitalists. 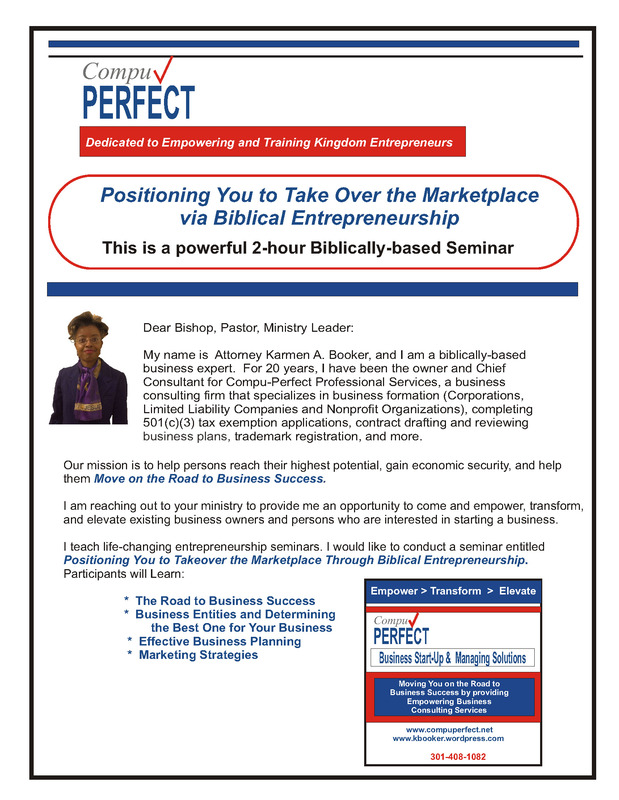 Contact Karmen A. Booker, Chief Business Consultant for BUSINESS PLAN Services at (301) 408-1082. 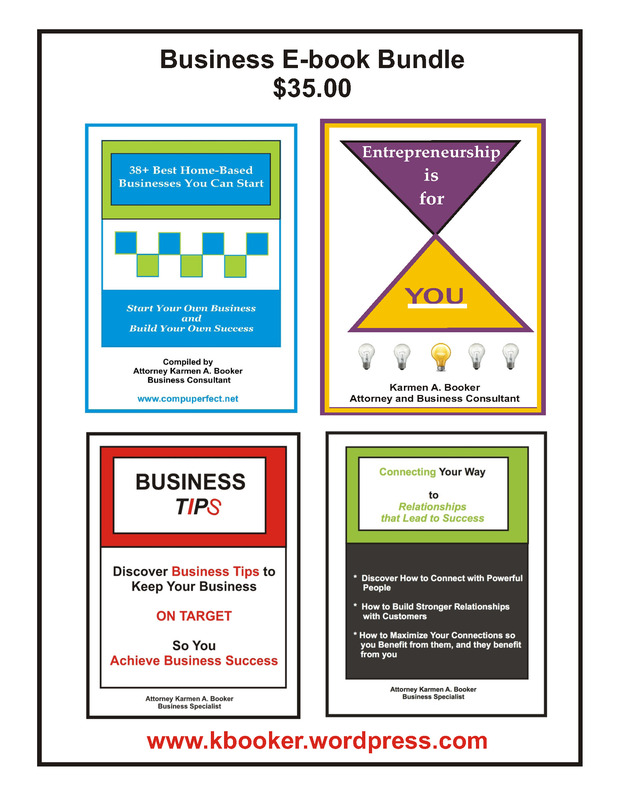 Get $100 Off Business Plan Services!!! Limited Time Only. Promotion Ends February 15, 2016!! !